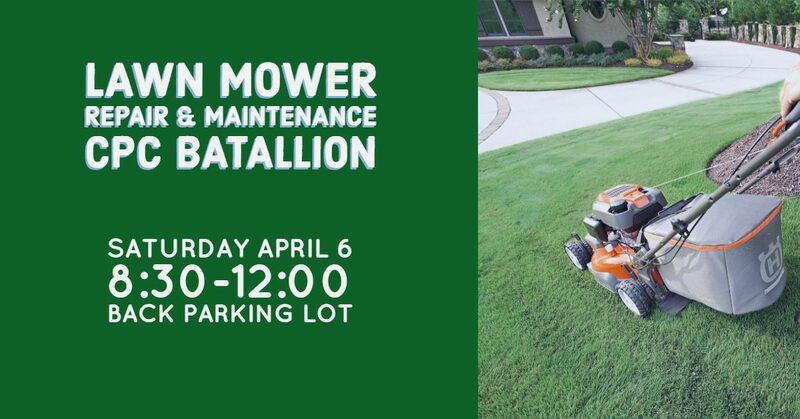 CPC Battalion 6831’s Annual Lawn Mower Repair Day! Let us get your machine ready for the mowing season! COST: No charge, donations accepted. Please write checks to CPC.